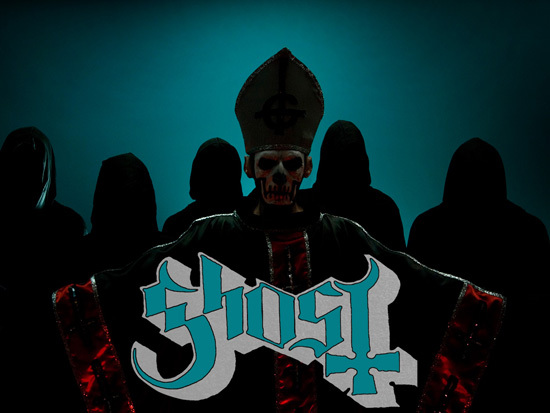 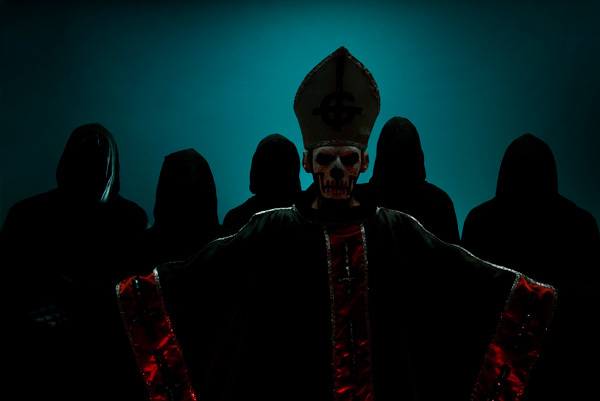 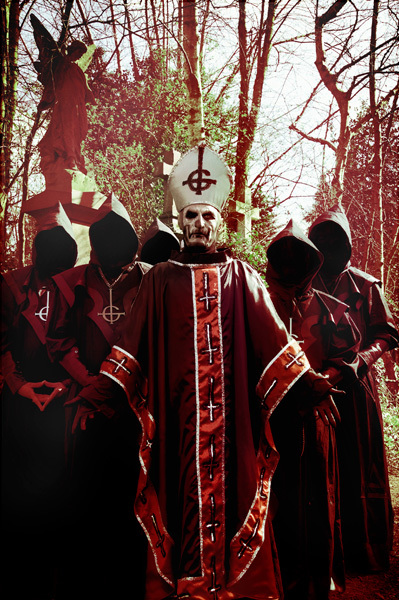 Ghost is the name of an anonymous devil worshipping ministry, that in order to spread its unholy gospels and, furthermore, trick mankind into believing the end is ultimately a good thing, have decided to use the ever so popular rock music medium as a way to achieve their ends. 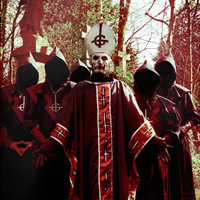 Standing motionless and anonymous beneath the painted faces, hoods and robes which their sect demand, the six nameless ghouls of Ghost deliver litanies of sexually pulsating heavy rock music and romantic lyrics, which glorify and glamorise the disgusting and sacrilegious, with the simple intention to communicate a message of pure evil via the most effective device they can find: Entertainment. 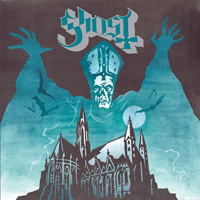 This is Black Metal at its most original and deceiving; compositions such as “Ritual” and “Death Knell” majestically weave their melodic spell of evil through the senses until the listener finds themselves utterly possessed and open to any diabolical suggestion. 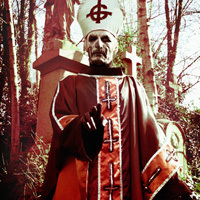 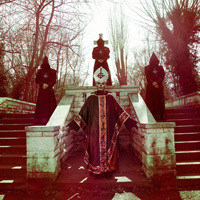 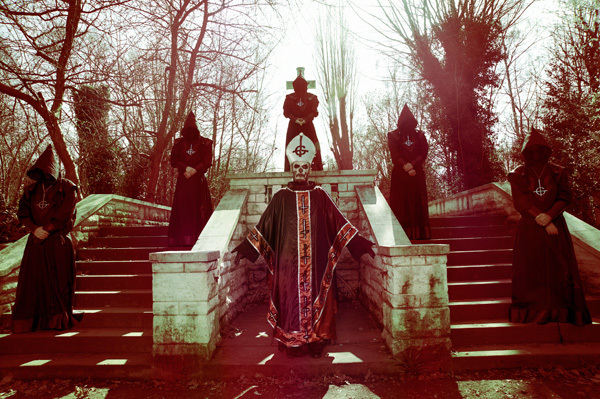 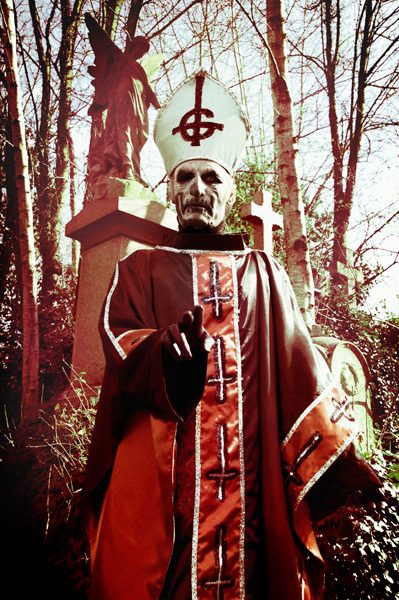 In May 2010, Ghost were contracted to a UK based gramophone company called Rise Above Ltd, who swore an oath stating that they will assist the group in the task of spreading their musical blasphemies through formats such as Compact Discs, Long Playing Vinyl Records and Digital Downloading.